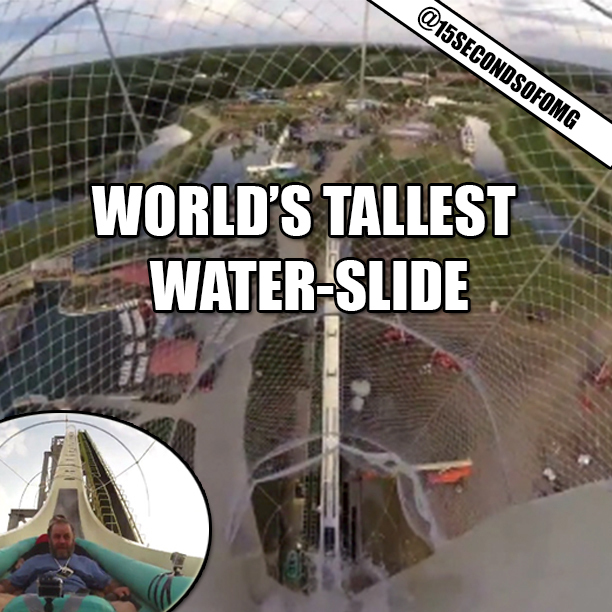 Viral Video: Meet “Verruckt” the world’s TALLEST water slide! The slide, located in Kansas City’s Schlitterbahn Waterpark is a 168-ft tall, and after you plummet down that thing, you get propelled up by a hill and dropped another 50 feet! You do this all in a raft, so you don’t have to worry about your skin blasting off! You can watch the FULL video below!